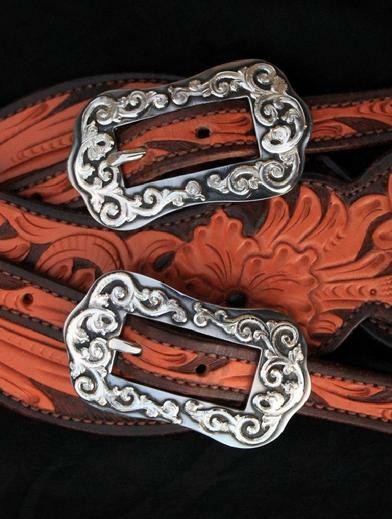 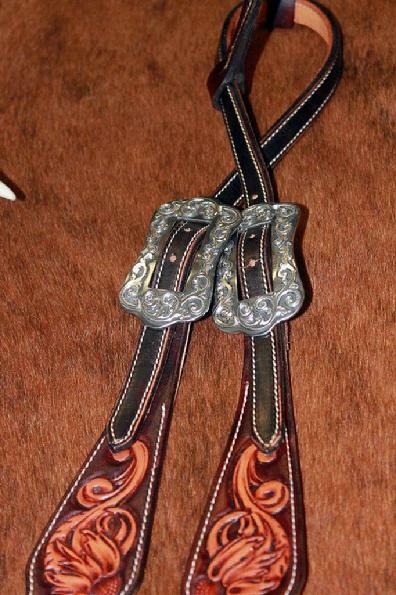 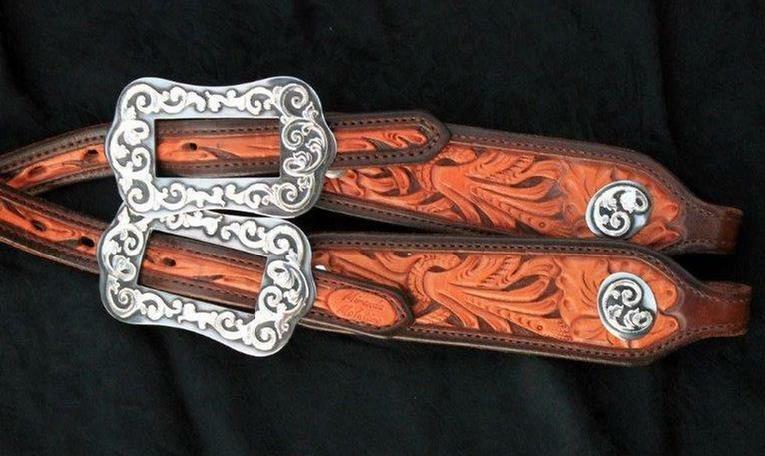 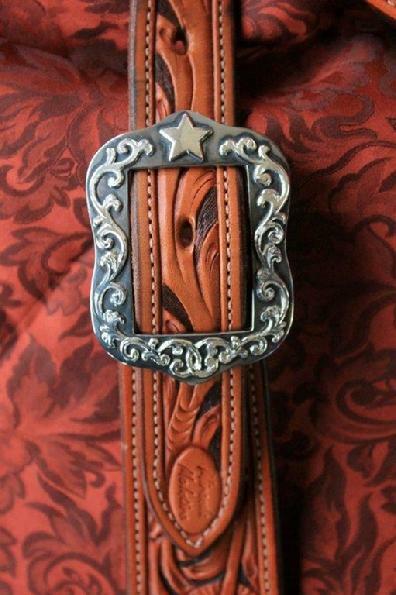 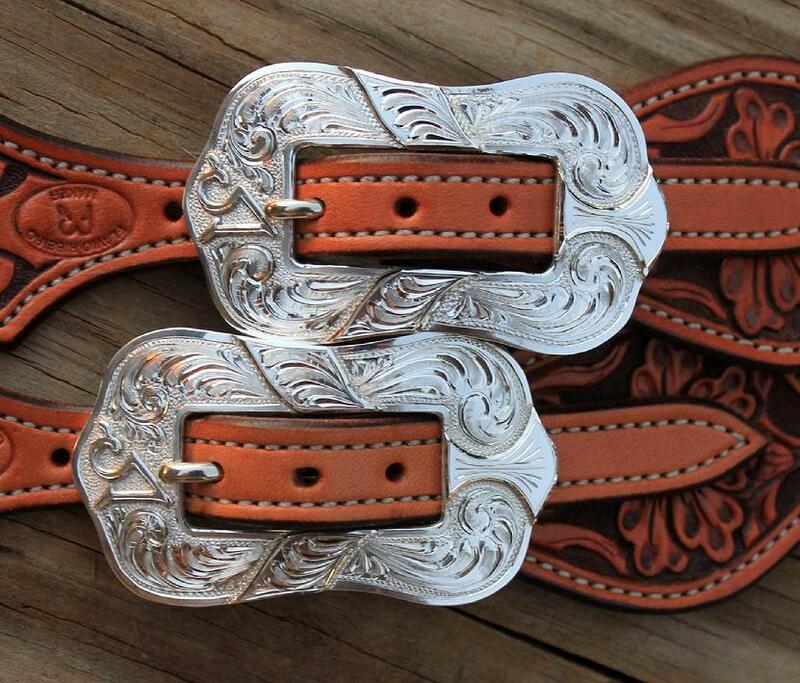 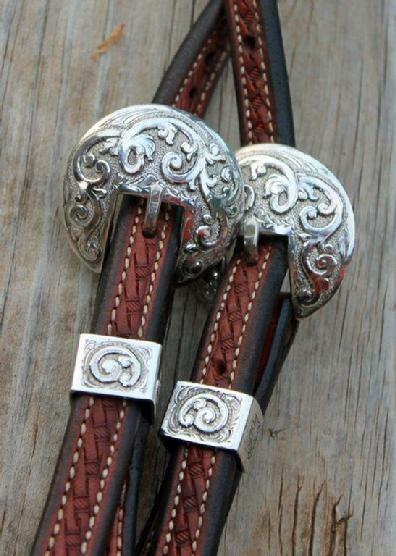 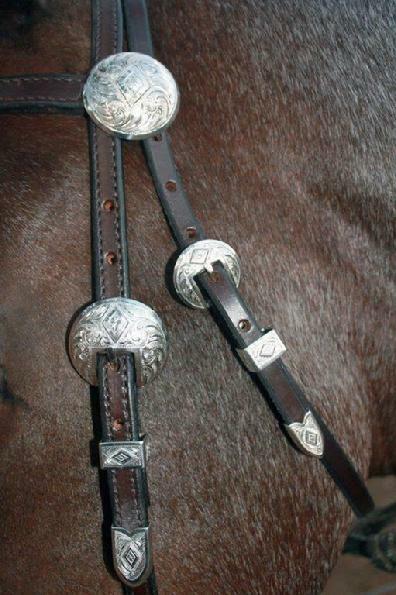 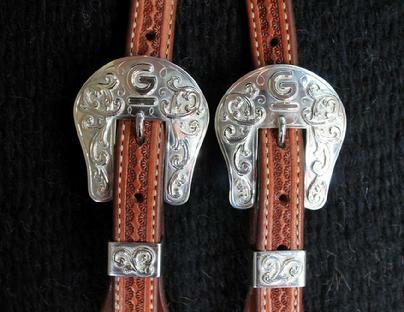 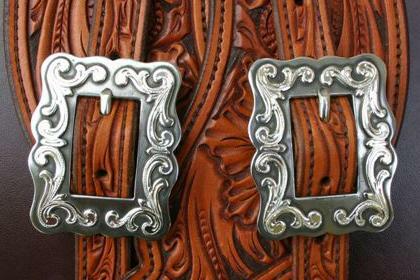 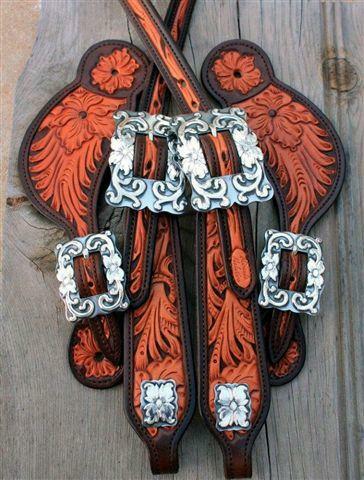 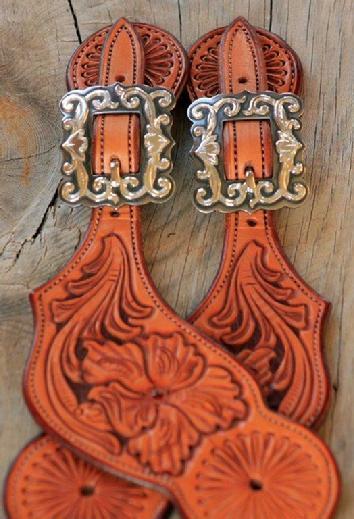 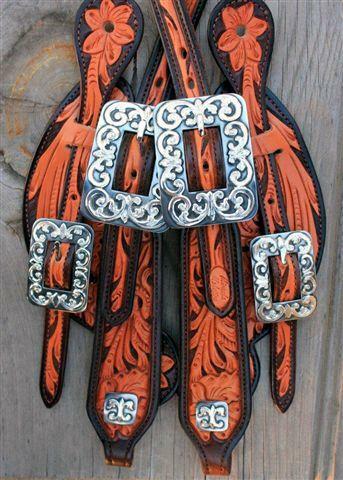 Solid sterling Mankato-style spur strap buckles on Flavio Ribiero spur straps. 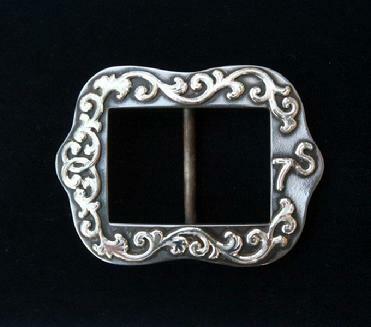 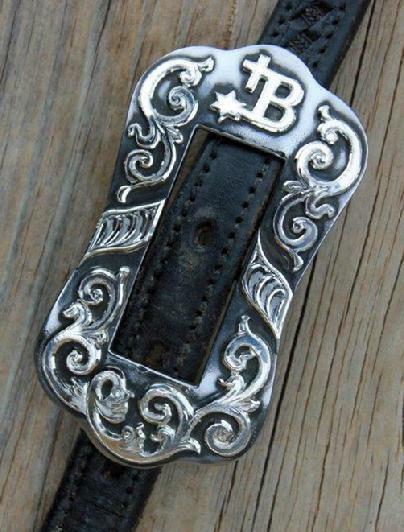 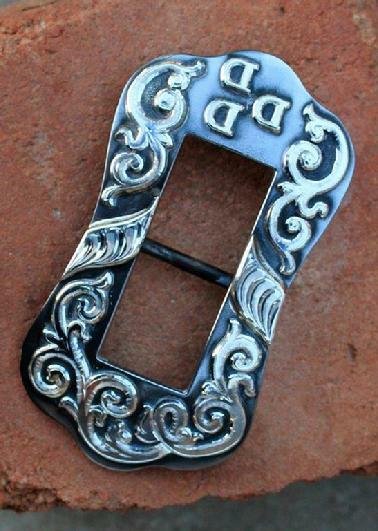 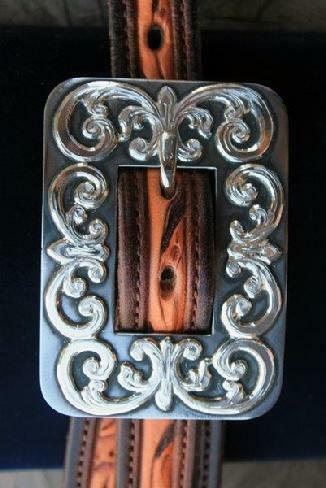 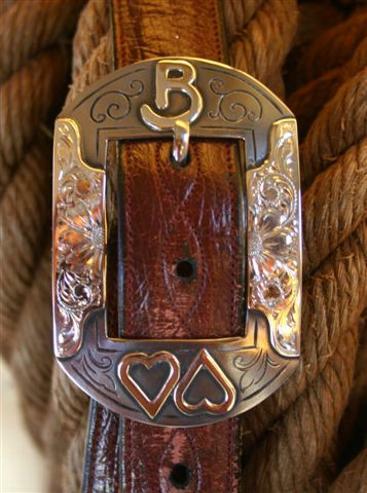 Mankato style headstall buckle with sterling scrolls & brand. 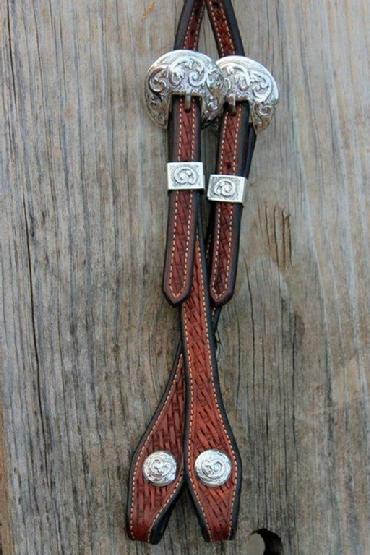 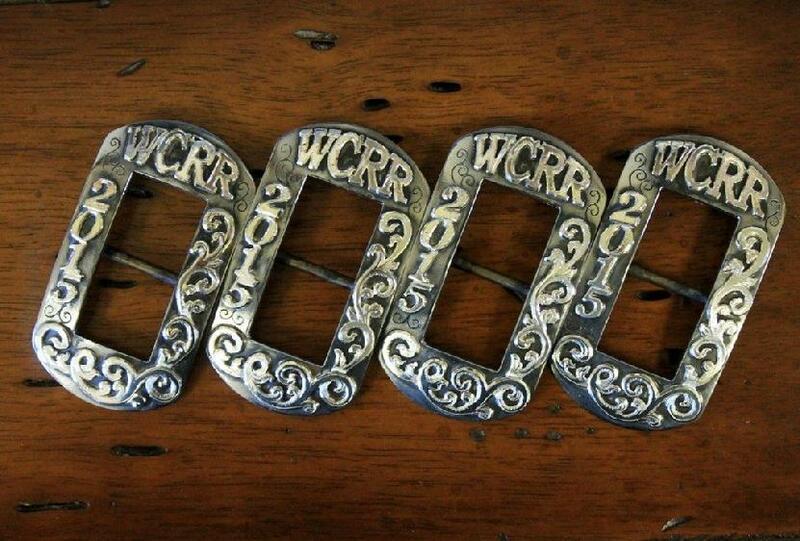 Mankato style headstall buckle with sterling scrolls & WT Waggonerbrand Estate brand, Vernon TX. 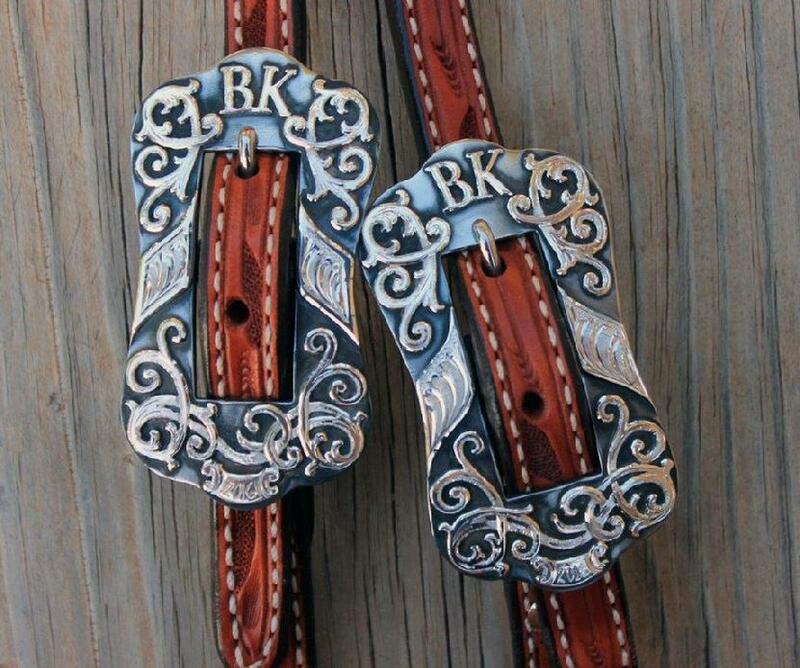 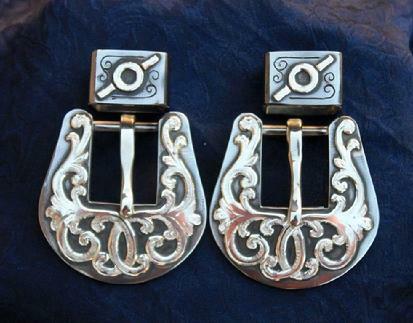 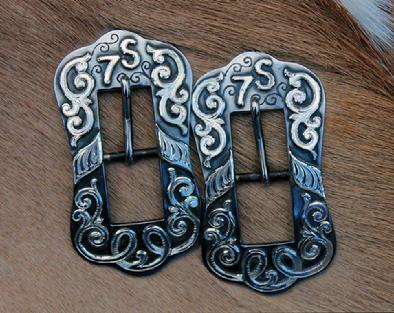 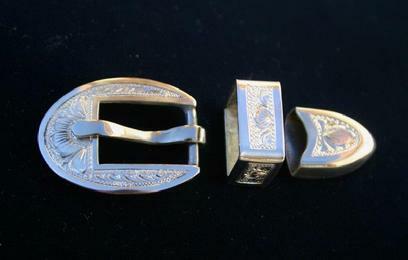 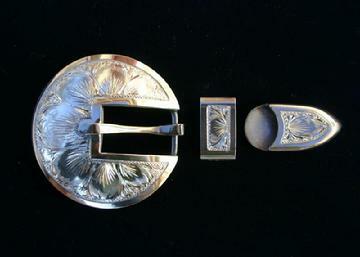 Solid sterling Oakley style headstall buckles, keepers & matching conchos, mounted with sterling scrolls. 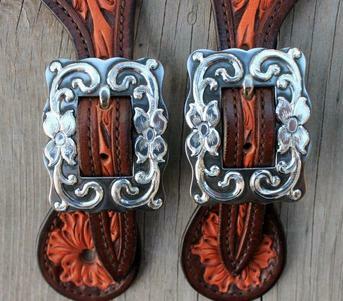 5/8" Oberlin spur strap buckles & keepers. 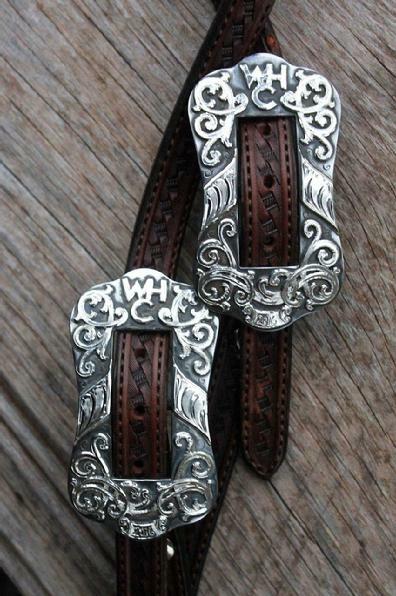 5/8" St Francis spur strap buckles; sterling silver mounted on polished steel on Ron Carlton straps.